SEATTLE — The debuts of Vikings left tackle Riley Reiff and running back Latavius Murray will wait at least one more week. 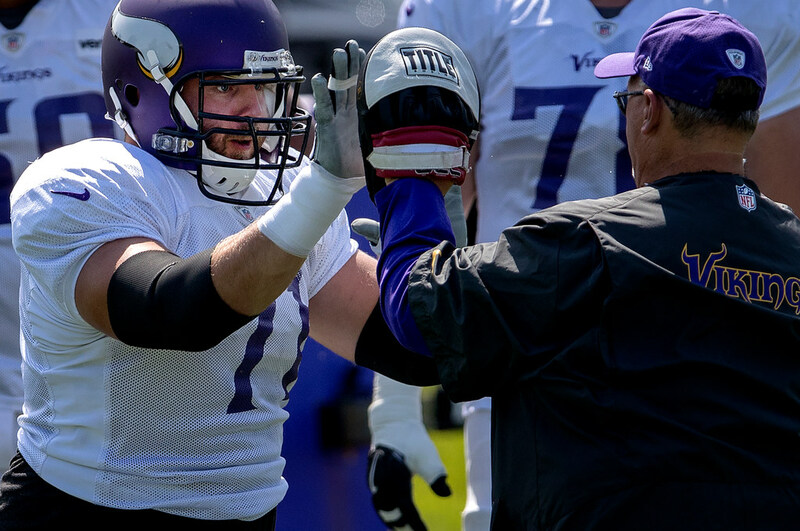 Reiff (back) and Murray (ankle) are two of seven injured players who won’t be suiting up for the Vikings during Friday night’s exhibition in Seattle, the team announced. Neither has played in two preseason games. Receiver Laquon Treadwell (hamstring), cornerback Trae Waynes (shoulder), guard Alex Boone (undisclosed), safety Andrew Sendejo (undisclosed) and linebacker Kentrell Brothers (hamstring) also are not playing vs. the Seahawks. Due mainly to Reiff’s back injury suffered at the start of camp, the Vikings offensive line has yet to take an entire practice, let alone a preseason game, together. In Seattle, Nick Easton will start at left guard for Boone and tackle Rashod Hill fills in again for Reiff. Rookie Pat Elflein gets the start at center. The Vikings will get longer looks at two young defenders as rookie linebacker Ben Gedeon is starting on the weak side. Safety Antone Exum Jr. is getting the start for Sendejo next to Harrison Smith. The Vikings’ third preseason game is scheduled for Aug. 27 against the San Francisco 49ers at U.S. Bank Stadium.